For Kevin's birthday this year I planned a surprise lodge staycation with our dogs Leroy & Mabel. We spent 3 nights and 4 days cozied up in cabins and snowshoeing with our dogs. We started off with what ended up being the highlight of our trip...a night at the amazing Storm Mountain Lodge. Honestly 1 night at Storm Mountain Lodge is not enough! Next time we'll plan a longer stay. The food was incredible, the lodge happens to play our favourite music, the historical log cabins are exactly what you picture when you think of what a log cabin should be except better because they have been upgraded with heating, a clawfoot tub, indoor real toilets and beautiful furniture to make your stay comfortable. 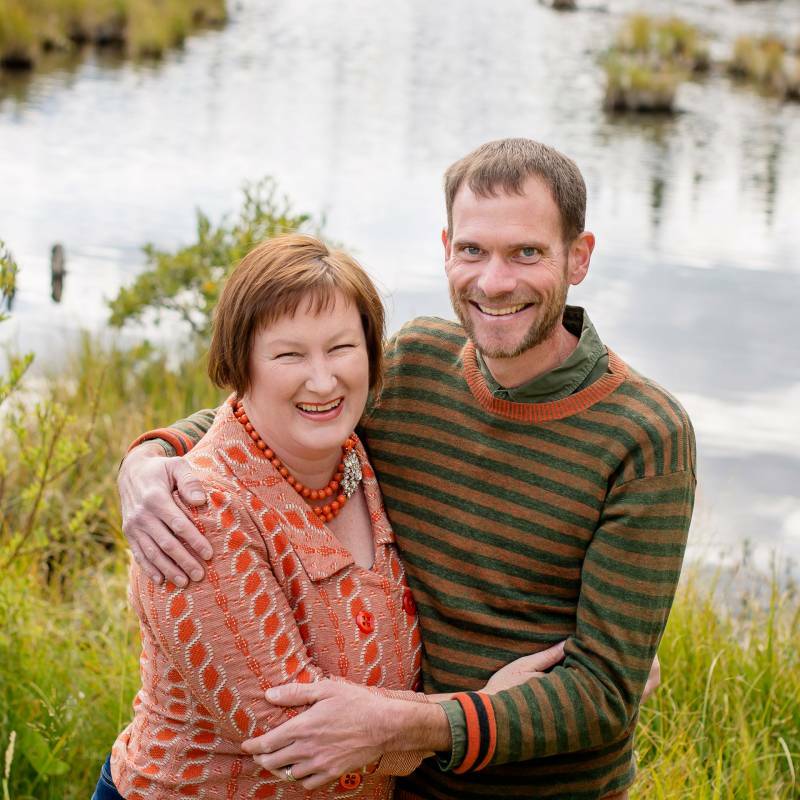 We booked the 3 course dinner at Storm Mountain Lodge and it was exceptional. The lodge even makes their own bread! There was the sound of the fire crackling in the background, Nat King Cole and Bing Crosby were on the stereo that night and we had one of the best meals of our life. I was thrilled that shortly after we arrived a beautiful snowfall started making it feel like we were in a snowglobe. The perfect scene for a cozy night in our cabin. We started our stay at Storm Mountain Lodge off with a snowshoe around the property on the snowshoe trail beautifully laid out by the lodge. 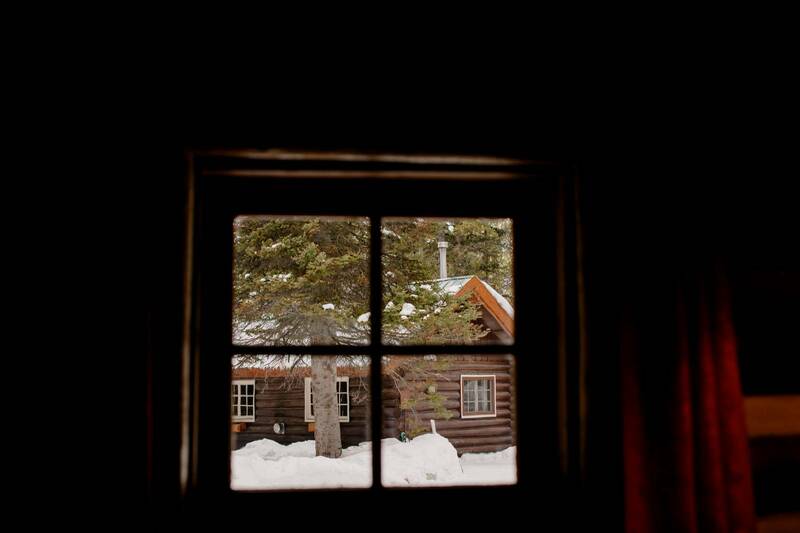 After our snowshoe we checked into our cozy cabin and took some photos of the snowstorm arriving. The view from our bathroom window. The historical cabins from the 1920's have been beautifully upgraded with heated bathrooms that feature real toilets and a clawfoot tub. You can even buy locally made bath bombs to soak in the tub in the main lodge. We are so thrilled that some of the cabins at Storm Mountain Lodge are dog-friendly. That's a requirement for us when booking a staycation. We walked over to the main lodge for incredible meals and wonderful hospitality. This stuffed french toast using the lodge made bread was heavenly. We were sad to leave. We drove to our favourite place Emerald Lake to snowshoe with the dogs. 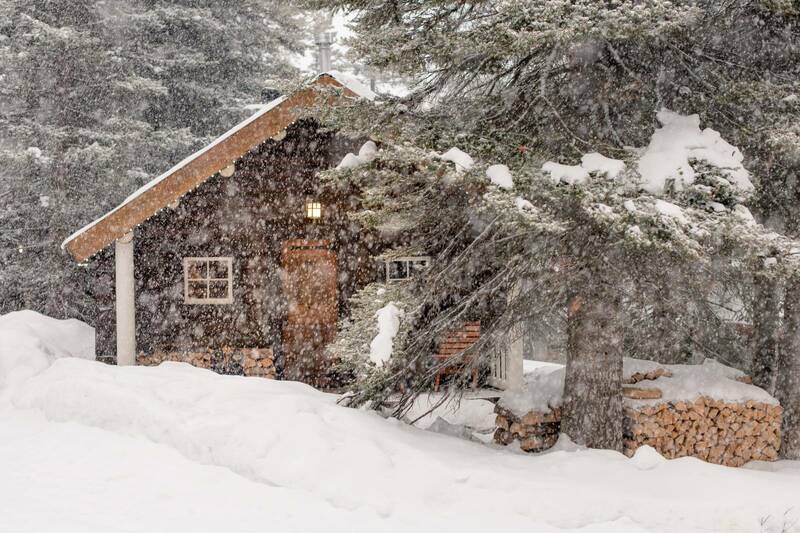 Emerald Lake Lodge looking beautiful all dressed up in winter. We love the village of Field just a 10 minute drive from Emerald Lake. We had friends say they enjoyed their stay at Truffle Pig's Lodge so I booked a night there to try something new. We loved it so much that we booked a second night. The food at Truffle Pigs is decadent and delicious. We ate there for breakfast, lunch and dinner! We left feeling stuffed and happy. The view in the morning from our room at Truffle Pigs Lodge. I loved that we could watch the trains go by from our room. Kevin walked around in the afternoon sun in Field and captured this beautiful photo of the now defunct Catholic church in Field. I'm curious to see what will become of the charming small white church. We filled our days with snowshoeing with the dogs and taking photos.